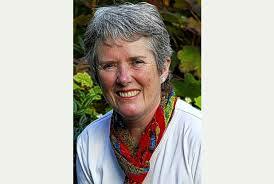 Our speaker at the April meeting on the 6th April is Sally Gregson of Mill Cottage Plants. Sally will be talking to us about epimediums, the subject of a book that will be published in the next month or so. The talk will cover the more widely grown species and forms, and introduces 21st century gardeners to the beautiful new species from China, and the hybrids that have been developed over the past 10 years, and are still being bred. The talk will commence at 7:30 with complimentary refreshments available from 7:00pm. Visitors are very welcome and we charge a visitor rate of £4 per meeting (annual membership is £12). The talk will be held at Colwall Village Hall with has ample parking.